Students meet regularly as a club during the fall semester. Each club consists of participating students and an adult sponsor (usually a teacher) and is guided by YMCA staff and volunteers. Students choose to participate in one of four areas: legislative, judicial, media, or state affairs forum. Area clubs begin meeting during the fall school semester. In November, clubs compete at District Conference, and the top individuals and teams advance to the State Conference in January. Find out about each area of Youth and Government! 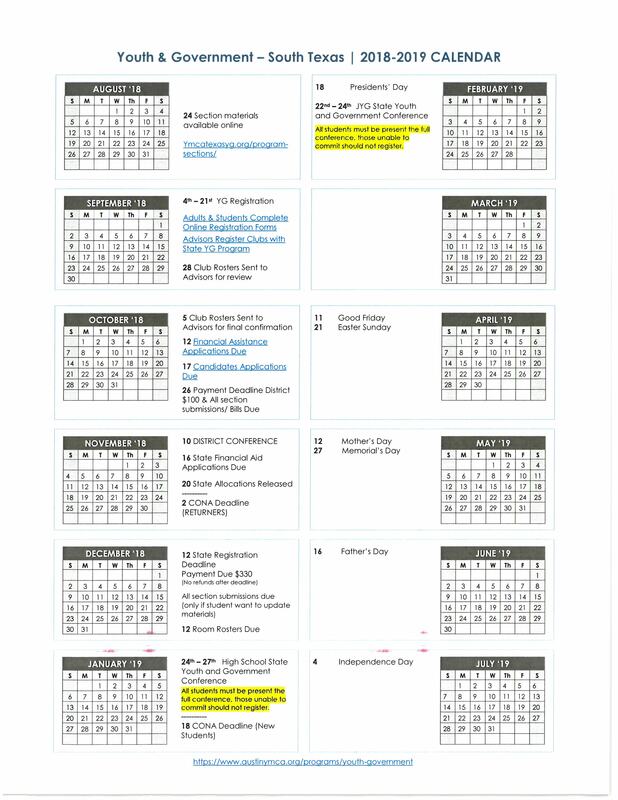 *Middle school students participate in the legislative section only. YMCA of Austin is committed to ensuring that any student that wants to participate is not inhibited by the cost of the program. Financial Assistance applications are available for Austin area students to apply for aid. 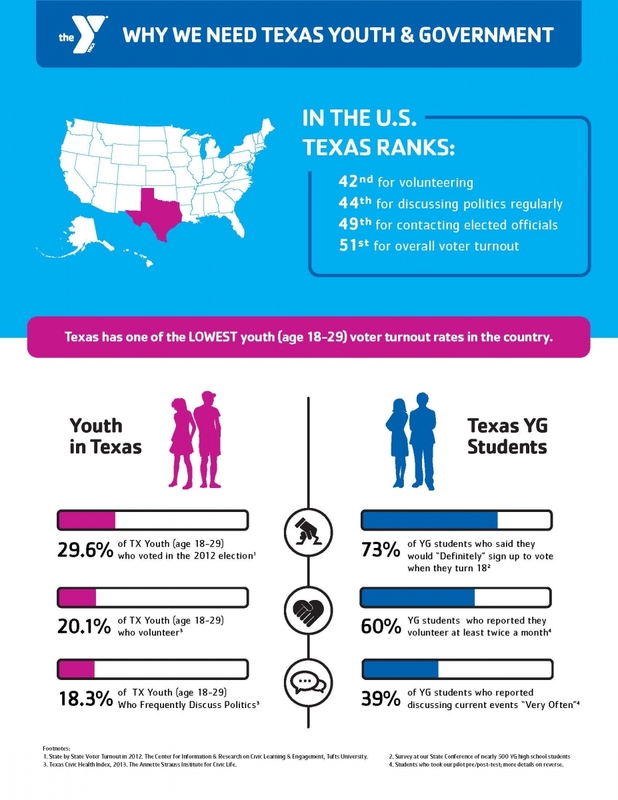 Students attending from Waco, Corpus Christi, Round Rock and San Antonio should contact their local YMCAs for information on local assistance programs. For more information about how to start a Youth and Government club at your school contact Missy Garcia, 512-236-9622 ext. 357, or missy.garcia@austinymca.org. Safety: For All or For the Old?